Michael Grant is the author of the bestselling "Gone" series - a dark dystopian thriller for young adults. However, his new series is somewhat different in its approach, in fact it's a lot different but equally as good. It is written with a much younger audience in mind and has been written really well - Michael has done a great job! I really enjoyed this book, it's a totally compelling read as you follow the unlikely hero of Mac. Mac has so many phobias that one of them is actually having too many phobias! I know you're wondering where this type of story might lead but it actually becomes an action packed, laugh-out loud read, that's full of humour and whit, with a splash of sarcasm thrown in. The adventure follows two story threads that eventually collide with one another. One story is set around 3000 years ago, at the time of the Pale Queen being imprisoned, which makes for an exciting tale. Whilst the other thread is set in real-time but it draws the characters into a fantastical adventure where they eventually collide with a bang. And then, one day, something incredibly strange happens to Mack. A three-thousand-year-old man named Grimluk appears in the boys’ bathroom to deliver some startling news: Mack is one of the Magnificent Twelve, called the Magnifica in ancient times, whatever that means. 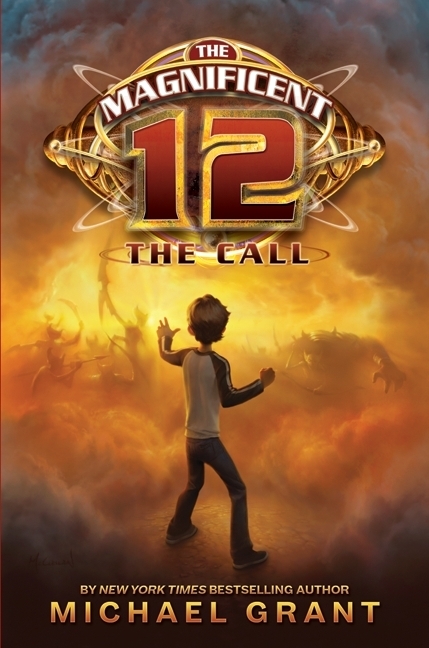 An evil force is on its way, and it’s up to Mack to track down eleven other twelve-year-olds in order to stop it. He must travel across the world to battle the wicked Pale Queen’s dangerous daughter, Ereskigal—also known as Risky. But Risky sounds a little scary, and Mack doesn’t want to be a hero. The good thing about this book it will appeal to girls and boys with the mix of characters used, and every reader will find something to laugh about. I also takes a lighter perspective on a series issue of bullying in schools. 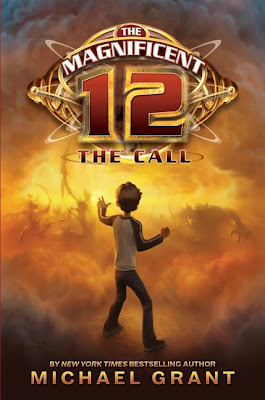 The genius part of the book is the character of Golem he's made from mud and has the ability to replicate Mac the twelve year old boy who goes dashing of to save the world. Golem stays behind and lives with his parents and sends reports back to him which made me laugh my socks off. reading an even more enjoyable activity. I look forward to the very next book soon. I will leave you with the words of the Golem. TODAY I ATE PIZZA. BUT I REALIZED THAT I DO NOT HAVE A STOMACH AND HAD TO SPIT IT OUT ON THE TABLE. LATER I USED A SPOON TO REACH INSIDE MY MOUTH AND DIG OUT A STOMACH. I PLACED THE MUD CAREFULLY IN THE TOILED AND FLUSHED MANY TIMES. NOW THERE IS WATER ON THE FLOOR AND ALSO ON THE STAIRS. I THINK MOM NOTICED. I definitely consider reading this one. It sounds adventurous and witty. Fab review! Love this book! And I loved the letters too. Made me laugh each time. What I like is that it will intro Michael Grant to my more reluctant readers who would NEVER pick up Gone because of it's size. The Golum was, hands down, my favorite character! I found myself looking forward to his little notes to Mac! It's going to be hard to wait for the next installment of this one!